Want a specific color or style or size? Chances are, you’ll find what you’re looking for in our inventory. We do custom orders, too. 24 inch and 26 inch. 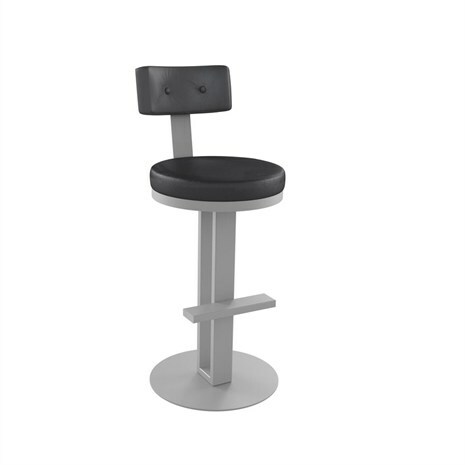 These barstools are generally used at counters, such as diners and breakfast bars. 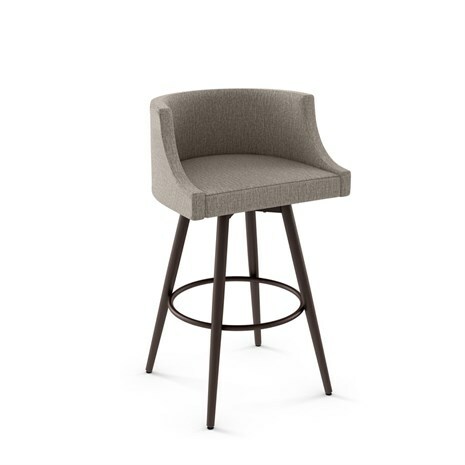 30 inch barstools. This size most often refers to bar height, and some homes have taller breakfast bars that suit this size. 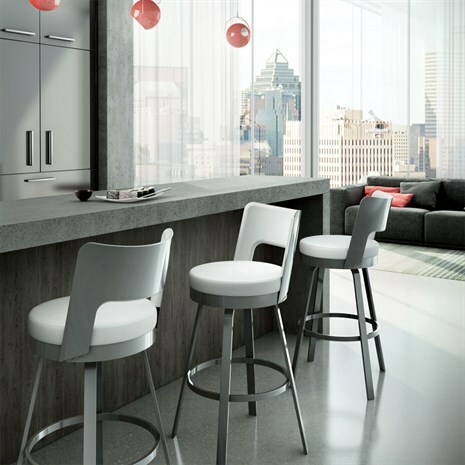 Many of our customers purchase dinette sets at pub height that fall under this category as well. 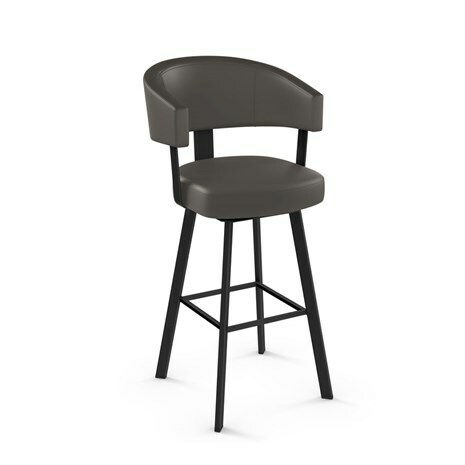 34 inch barstools generally refer to spectator height, such as at bars, gentlemen’s clubs and sports bars. 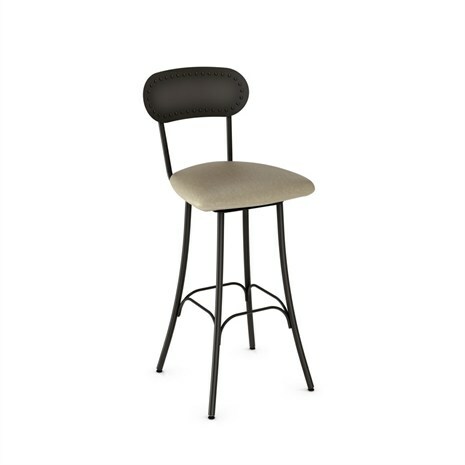 36 inch barstools are in the extra tall barstool category. 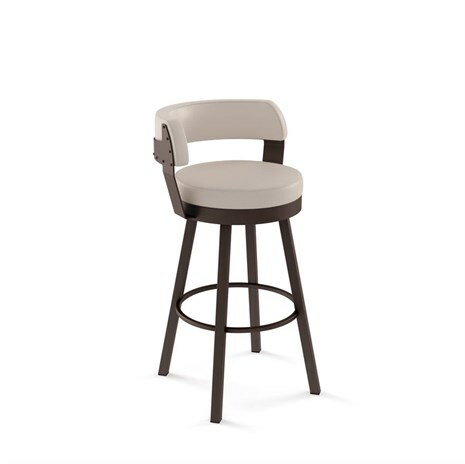 We often see orders for outdoor barstools as well as commercial barstools at 36 inches. 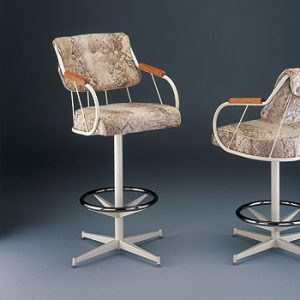 You can get oval or round back styles in upholstery, wood, leather, brushed metal, or even in acrylic (often called ghost stools). 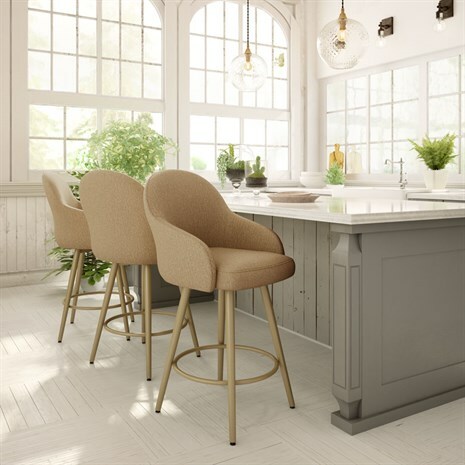 While we do have low back and backless barstool options, many who want comfort and who don’t have concerns about space will opt for high back stools with comfortable round or oval backs. We sell solid round options in many colors and finishes and also sell ladder and lattice round back options. 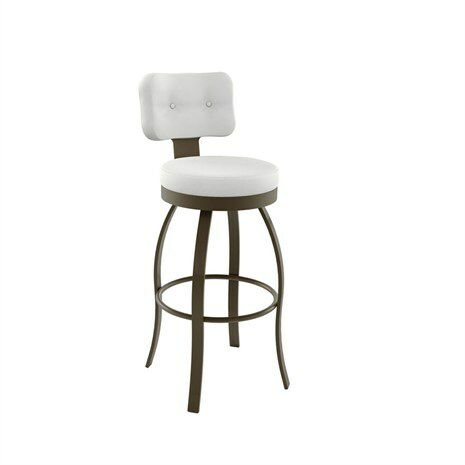 Of course, our large selection includes standard upholstered square or rectangle back barstools, too. We’ve been in business since 1992 and serve residential and commercial customers with varied requirements and tastes. 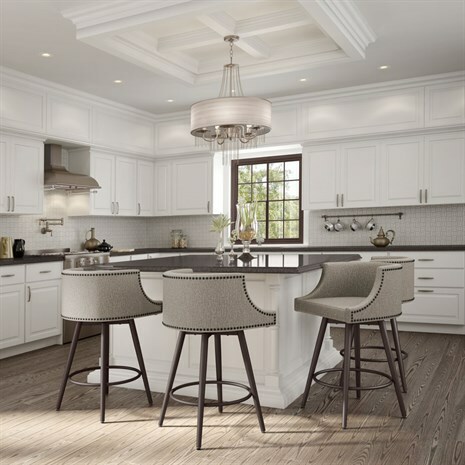 Whether you want something custom made, prefer a brand name like Tobias, Muniz, Amisco, Douglas, or you are shopping on price alone, we have quality-made durable bar and counter seating options at with 40 to 50% off discounts. 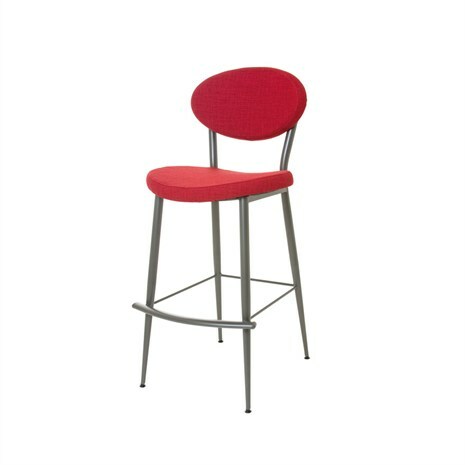 We sell replacement parts for barstools, too. Have questions? Need design assistance? 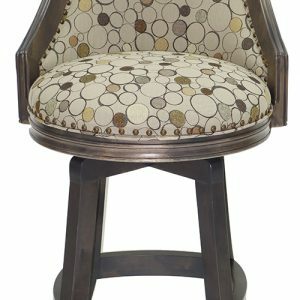 Want to place a custom order for oval or round back barstools with your logo or monogram on them? Talk to us. We’re here to help!